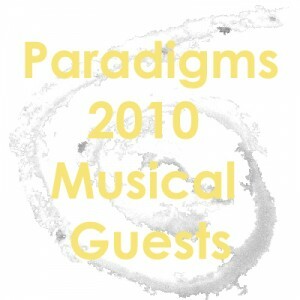 Tonight, a retrospective featuring musicians who were guests on Paradigms in 2010. Thanks to all of you! Music by: Will McCoy The Rhythm Rancher, Ahamed Said, Derrik Jordan, Patrick Dodd, Aaron Flinn, Sinéad O’Connor, Cosy Sheridan, David Bromberg, Pitz Quattrone & The Earthman Band, Evergreen Erb, Jon Anderson, Martin Guigi, Sarah Monroe, Tobiah, Julia J. Slone, and TR Ritchie.